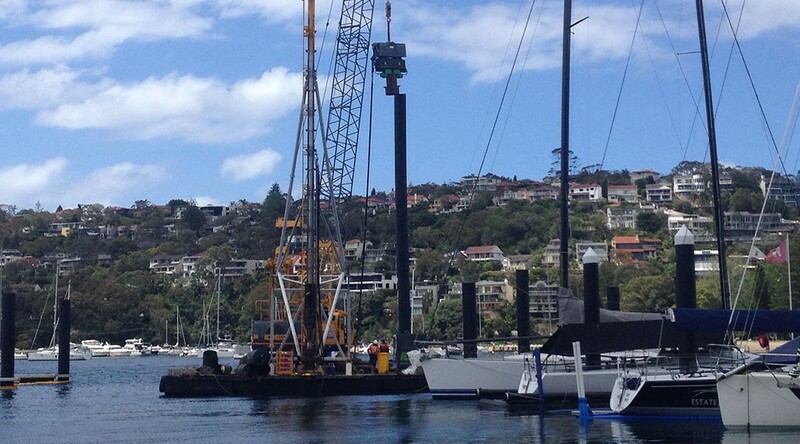 The Middle Harbour Yacht Club (MHYC) Marina is a facility that is adjacent to Parriwi Road in Mosman, east of the Spit Bridge. The project involved the extension of arms B, C and D of the existing marina to add an additional 28 births to the existing 59 birth facility. 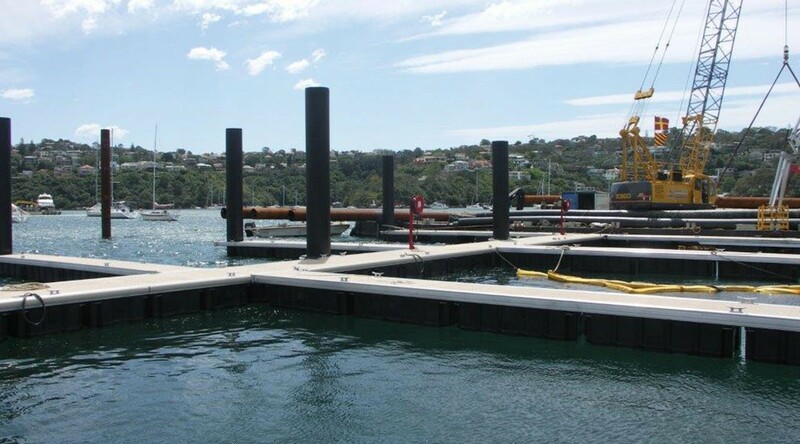 The works included the installation of 27 steel CHS piles with HDPE sleeves and a marina pontoon system including fire, water and power services. 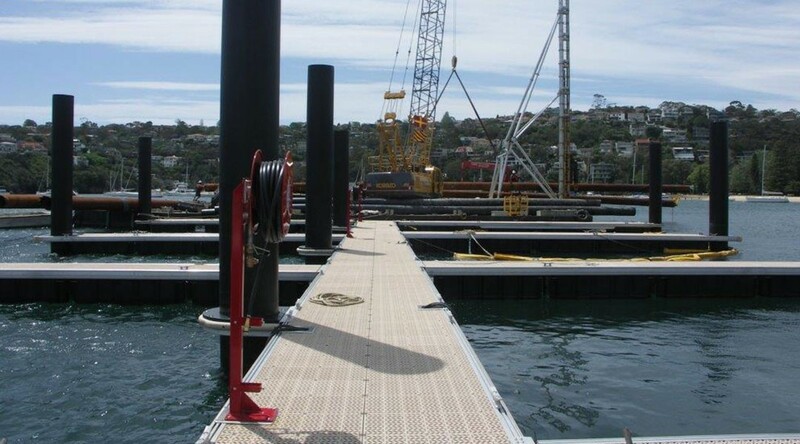 The piling element was the most challenging aspect of the project due to the length (up to 40m) and weight (up to 11.0T) of the piles to be installed. 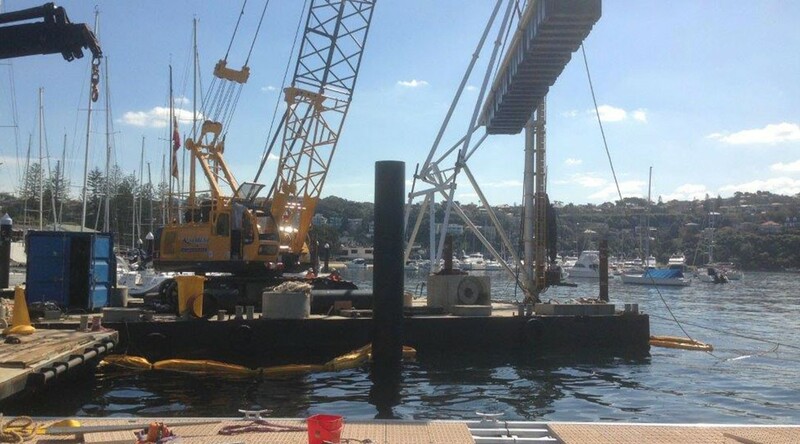 Being some of the longest piles in Sydney Harbour, the size of the piles required the use of CMC’s 18.0m x 12.75m barge (HB6) with a 55.0T Kobelco crawler crane mounted on the deck.